UPDATE: In addition to all our awesome “camping” stuff – we’ll be meeting at 7PM at Sky Zone for 90 minutes of jumping, bounding, and dunking! Parents, we’re looking for volunteer drivers to get us back to the church after we’re done (8:30PM). Parents – you need to fill out a waiver before you come or your child cannot jump. Here’s a link directly to the waiver site. After some long (and wet!) winter months, it can feel hard to event think about fun things like campfires, sleeping under the stars, and eating great camp food. So we thought – why not bring the camping INSIDE? 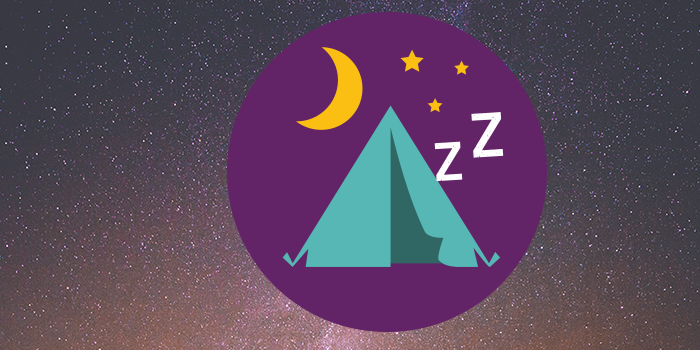 On April 1 we’ll pitch tents inside Westheights, enjoy a seasonal indoor artificial campfire, eat s’mores, and more. This is an overnight event, so we’ll have 12 hours of great stuff to do! Camp fees are just $25 ($20 for camping and $5 for the camping) ! Camp in At Westheights is an event for Jr. High students. Everyone between the ages of 11 and 13 is welcome!